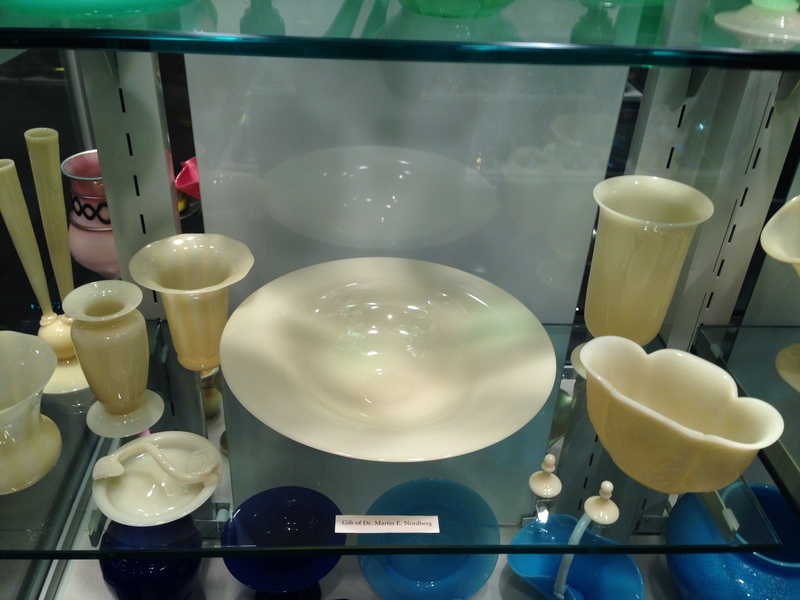 The Ivory Jade color was developed in the 1920s by Carder for the Steuben Glass Co. It is a warm cream color in translucent glass. This beautiful vase was personally signed F. Carder. 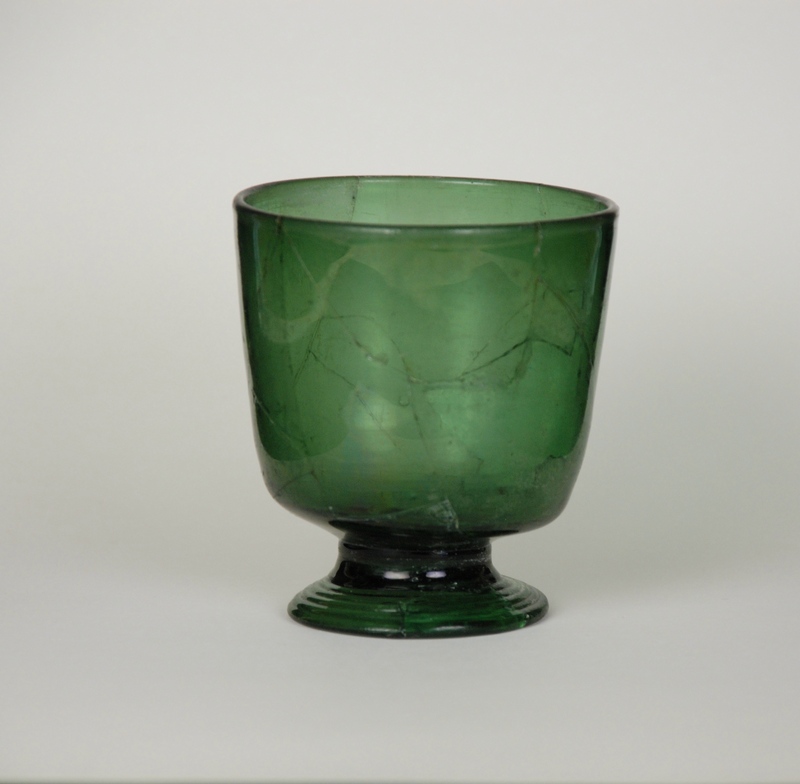 The Green Jade color was developed in the 1920s by Carder for the Steuben Glass Co. 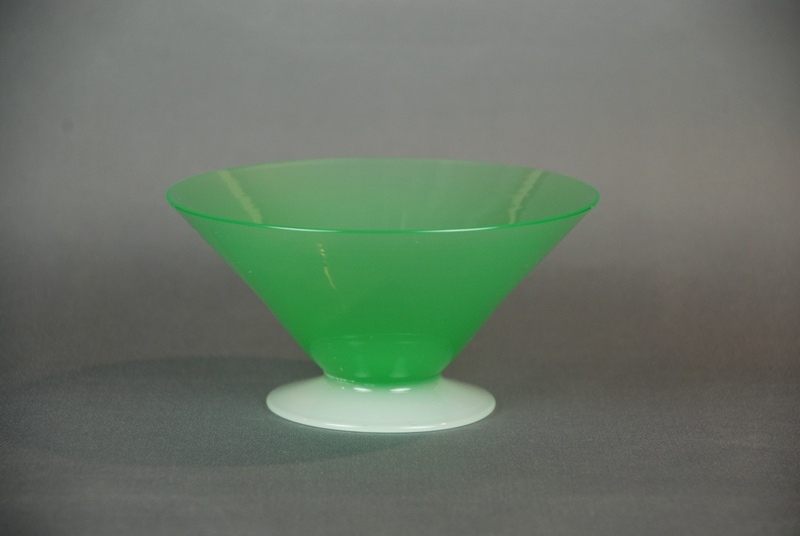 This bowl is a light green color on a white foot made in translucent glass. 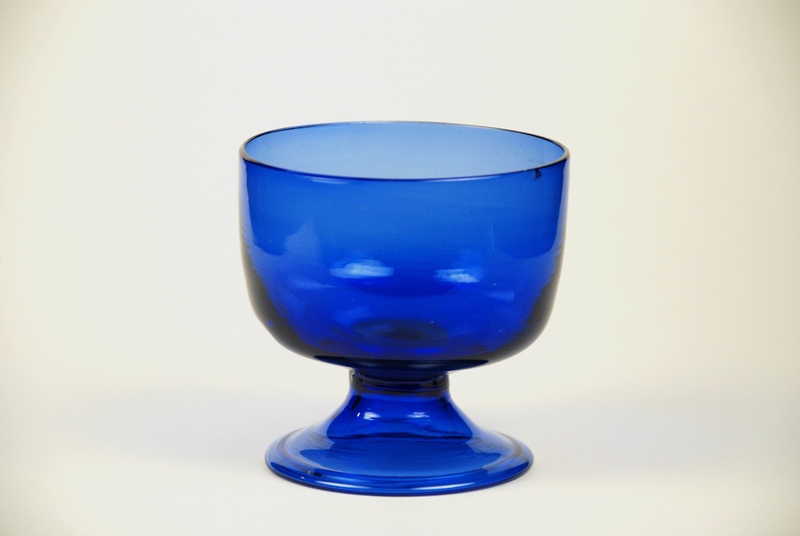 In the 1920s, Carder developed colorful types of glass that were neither transparent nor opaque. These translucent Jade pieces were made in light and dark blue, green, and other colors. They were used extensively in the production of acid-etched pieces and tableware. 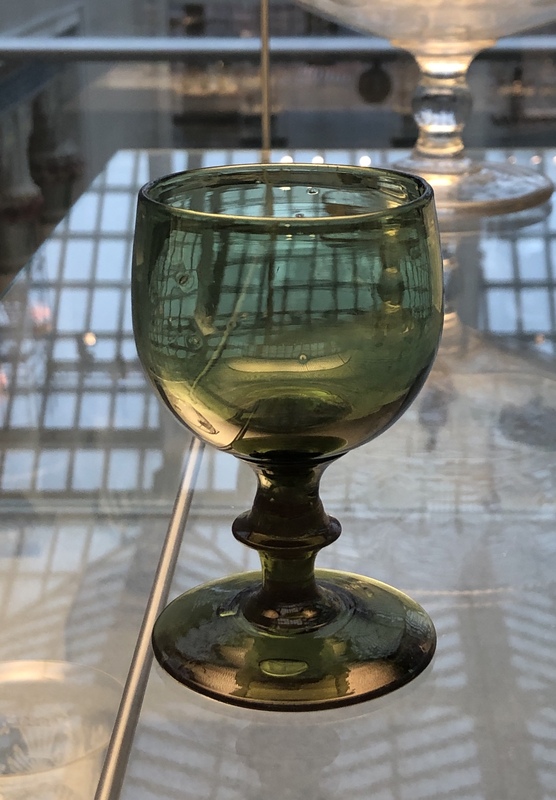 Rosaline, which is usually considered a Jade glass, and the other Jades were often combined with off-white glass and decorated with engraving or etching. 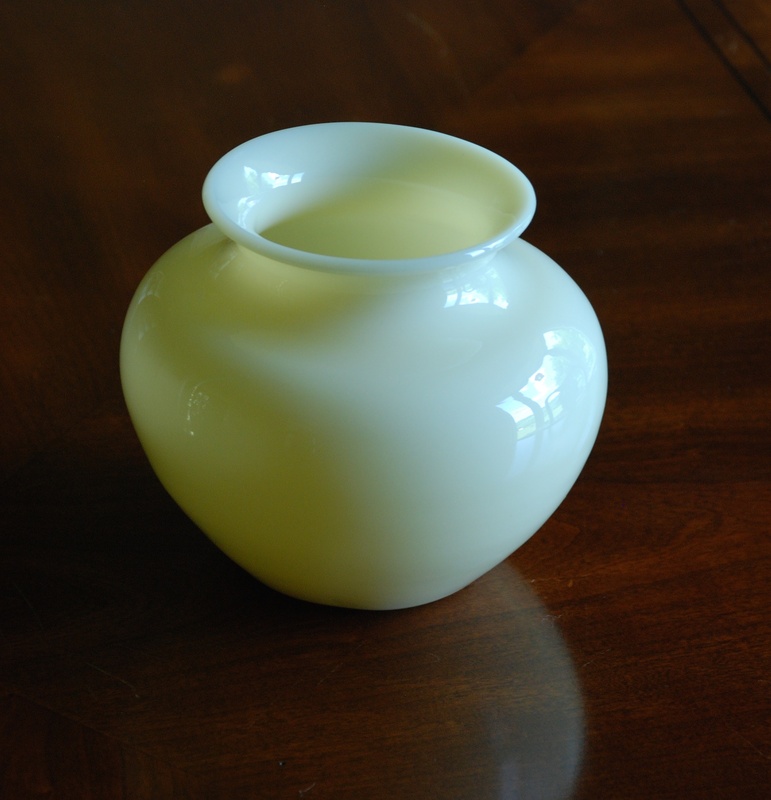 Ivory, a warm cream-colored glass is classified as a Jade. 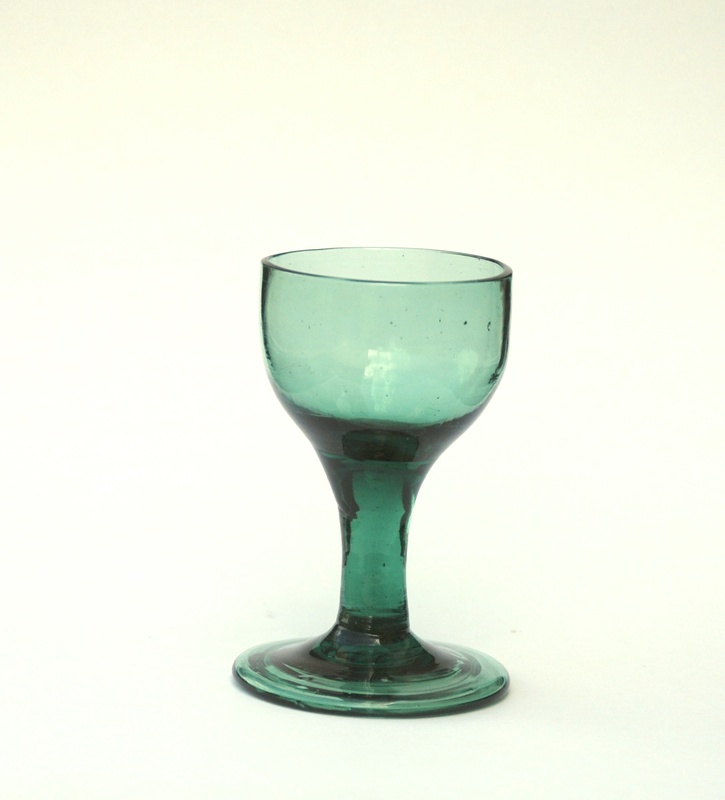 Below are examples of Steuben Ivory Jade and Green Jade glass. American bottles and flasks with pattern-molded designs have been produced from 1765 on. This same type has been made for centuries in Europe and England. A flask is a bottle, which has been flatten so it fits into a jacket pocket and also called a pocket bottle. 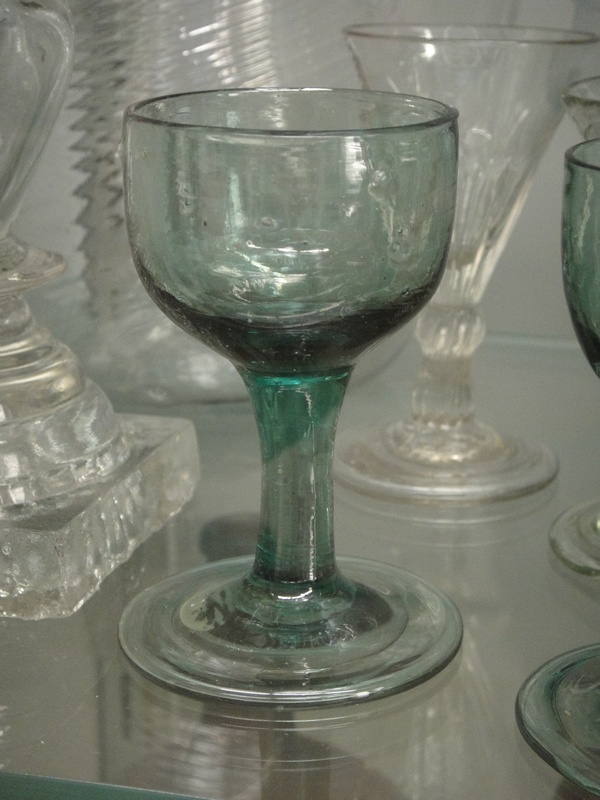 The pattern-molded bottles and flasks were blown from a single gather of glass, patterned in either rib molds or pattern piece-molds having a simple (diamond pattern) or more elaborate designs. The Pitkin-type flask is part of this group and made by the half-post method and ornamented by pattern-molded ribbings. Both flasks can look alike; however the Pitkin flasks has a tell-tail ring of thicker glass around the neck (post) from the second dip of the half-post method. The examples below are from the Allaire Collection.